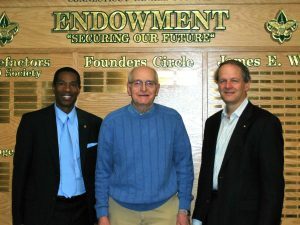 Gifts to our endowment fund help ensure that we can continue to offer outstanding programs and services in perpetuity and also grow to meet the needs of the youth and communities it serve. 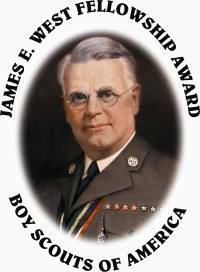 In its gratitude for such support, the Boy Scouts of America offers a number of distinct recognition awards. These awards are presented by the local Council to donors who support Scouting’s financial future with Council endowment gifts. If you would like to find out more about solutions for your particular estate planning needs, our gift recognition program or about our Council Endowment Fund, contact e-mail charles.flowers@scouting.org. The James E. West Fellowship award is available for gifts of $1,000 and up in cash or marketable securities to our Council endowment fund. The gift must be in addition to and not replace or diminish the donor’s annual Friends of Scouting support. Many individuals and corporation make these gifts either on behalf of someone else such as in honor of an Eagle Scout, Silver Beaver recipient, a retirement, a special accomplishment, or anniversary or in memory of a special individual. A James E. West Fellowship Award can be cumulative to reach Silver, Gold, and Diamond levels. 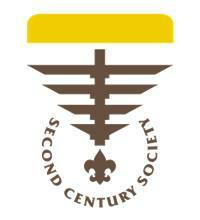 The Second Century Society recognizes outright gifts of $25,000 or more payable over five years, or a deferred gift of $100,000 or more, to a local Council, BSA Foundation, high-adventure base, or any BSA entity for operating, capital or endowment. Donors making outright gifts of $100,000 or more are designated as “Members with Distinction.” Donors making deferred gifts of $500,000 or more are designed as “Legacy Members.” Members in these categories receive special recognition and opportunities provided by the BSA Foundation. As Alphonse and Judith Noe’s 50th wedding anniversary approached, they were looking for a way to commemorate their love for one another as well as make a broad impact on the community by giving young boys the opportunity to go to Scout camp. We are exceptionally proud and thrilled to share that they made a gift to the Connecticut Yankee Council of $50,000 to establish the “Alphonse R. Noe Urban Scouting Opportunity Fund” in support of the expansion of our Urban Scouting programs. “I have always looked back fondly on my experiences in scouting and appreciate the foundation they provided for interests as an adult. It is my hope that the fund will enable the Council to reach under-served and financially challenged urban youth to provide them with exposure to the ethical and moral values of character that Scouting espouses as well as a chance to have just plain fun in the outdoors,” wrote Mr. Noe. “This gift will enable our Council to truly expand and grow our programs serving at-risk young people in the neighborhoods of Bridgeport, New Haven, Norwalk, and Stamford. We are appreciative of the legacy and example that Mr. and Mrs. Noe leaves to Scouting, and of the Board members, volunteers and staff who helped make this gift a reality,” says Charles L. Flowers, Scout Executive. The Memorial and Tribute Fund was established for friends and Scouters to remember and honor those who have passed away or to those you’d like to recognize for their accomplishments. Gifts are recognized with a special remembrance card notating your gift to the closest relative. Unless otherwise requested, gifts to the Memorial and Tribute Fund (and gifts that arrive because the family of the deceased place an “in lieu of flowers” request in an obituary) go into the Council’s Endowment Fund to ensure Scouting in the Connecticut Yankee Council remains available for future generations.